Well if there is something that could wake me up from my hiatus, it should be something exciting right?! Well yes! I bring good news of an all important natural hair meet 'n' greet being organised by fellow natural hair blogger and AFROTASTIC team member +Janice Amedofu of Jay Kinks & Koils. 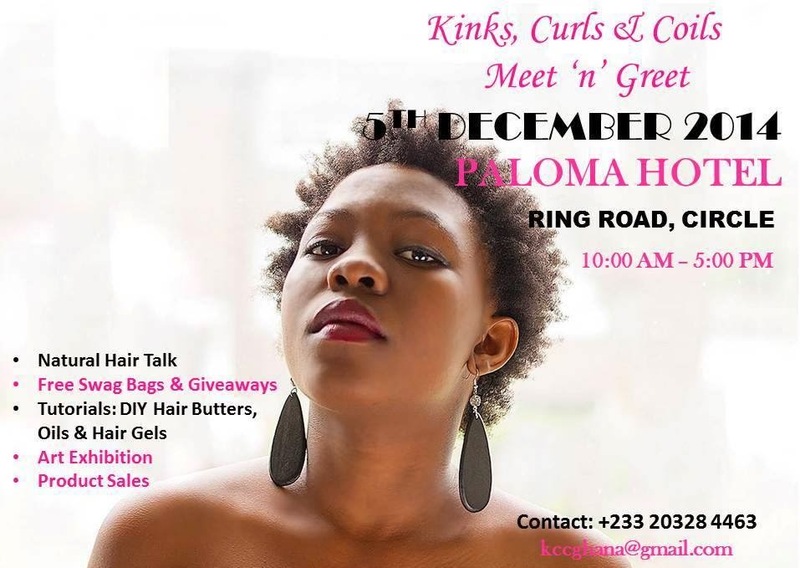 This Meet n Greet dubbed "Kinks, Curls & Coils" comes off on Friday, 5th December, 2014 from 10am to 5pm and the venue is the Paloma Hotel on the Ringway Road.